Dr. Susan Bonner-Weir is Senior Investigator, Joslin Diabetes Center and Professor of Medicine, Harvard Medical School. She received her BA from Rice University and her PhD from Case Western Reserve University. She trained as a post-doctoral fellow at Joslin with Dr. Art Like and then later joined Joslin faculty in 1984. For over thirty years she has focused on the islets of Langerhans, from understanding their "architecture", their growth and their function. She has published over 200 peer-reviewed papers and numerous chapters and reviews. 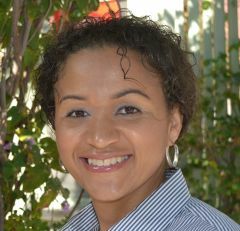 Dr. Bonner-Weir has served on numerous grant review panels (NIH, American Diabetes Association, JDRF, the Danish National Research Council, California Institute of Regenerative Medicine and the European Research Council) and editorial boards (J Biological Chemistry, Diabetes, Endocrinology, Amer J Physiology, Cell Transplantation). She has lectured around the world, including a number of named lectures such as the 19th Broidy lecture (Cedars-Sinai Hospital, CA), 21st Kroc lecture in Uppsala Sweden, WHGriffith lecture (St. Louis University). In 2012 she was elected a Fellow of the American Association for the Advancement of Science (AAAS) for her scientific contributions, and in 2014 she was awarded the William Silen lifetime Achievement Award in Mentoring from Harvard Medical School. Her contributions have been additionally recognized with honorary membership in the Hungarian Diabetes Association, Mary Jane Kugel Award (JDRF), the 2016 Paul Lacy Award, and the 2016 Joslin Global Achievement Award. Mark McCarthy is the Robert Turner Professor of Diabetes Medicine at the University of Oxford based at both Oxford Centre for Diabetes, Endocrinology and Metabolism and the Wellcome Centre for Human Genetics. His research group is focused on the identification and characterisation of genetic variants influencing the risk of type 2 diabetes and related traits, and on using those discoveries to drive biological inference and translational opportunities. He has played a leading role in many of the major international efforts to identify the genetic variants that influence predisposition to type 2 diabetes including DIAGRAM, T2DGENES and GoT2D. These consortia have used genome wide association and sequencing approaches to identify over 400 genetic signals for type 2 diabetes. Equivalent efforts focused on diabetes-related traits, including obesity, fat distribution and birth weight have been similarly productive. With collaborators, his group's activities are now increasingly focused on the exploitation of these discoveries to gain insights into the biological mechanisms underlying disease development. Integration of genetic association signals with genomic annotations derived from pancreatic islets and other diabetes-relevant tissues is providing robust insights into the molecular and pathophysiological mechanisms through which many of these signals operate. This also makes it possible to use this information to open new translational opportunities through target validation, risk stratification and biomarker discovery. Dr. Alonso earned a BA in biochemistry from Harvard University and an MD degree from the University of Pennsylvania. She completed a residency in Internal Medicine and a fellowship in Endocrinology and Metabolism, both at the University of Chicago. Her research training began with a 5-year postdoctoral fellowship with Elaine Fuchs in stem cell biology, starting at the University of Chicago and finishing at the Rockefeller University. 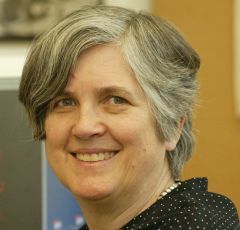 She began her career as an islet biologist with a junior faculty position with Andy Stewart at the University of Pittsburgh, subsequently moving to the UMass Medical School in 2013. Her research is focused on beta cell regeneration, with two principal long-term goals: to understand the molecular mechanisms behind successful beta cell mass expansion in mice, and to identify the causes of failed proliferation in human beta cells. One current molecular focus of the lab is to identify the mechanisms behind a novel concept developed by the lab: linking insulin demand with beta cell proliferation via activation of the ER stress response pathways known as the unfolded protein response. A second focus is determining how the CDKN2A/B T2D risk-locus impacts beta cell mass and function. She is also strongly motivated by mentoring and developing young scientists, both clinically trained and basic researchers. Sebastian Barg has a background in biochemistry and chemistry and a PhD in physiology (Lund U). After postdoc work at the Vollum Institute (Portland OR) and Imperial College London he started his own group at Uppsala University. The main interest is in the cell biology of hormone and neurotransmitter secretion, with a focus on the life-cycle of insulin-containing secretory granules. The lab studies exocytosis in pancreatic ß-cells and other islet cells using advanced light microscopy (TIRF, super-resolution and single molecule imaging) in combination with patch clamp electrophysiology. The aim is to quantitatively understand the release probability of individual granules both mechanistically (as the sequential assembly of the secretory machinery from its protein and lipid components) and in the physiological context of biphasic insulin secretion in health and type-2 diabetes. Miriam Cnop's research focuses on pancreatic cell dysfunction and apoptosis in the pathogenesis of type 2 diabetes. Her team identified endoplasmic reticulum stress as a molecular mediator of free fatty acid-induced cell apoptosis. She has contributed to the discovery and study of several new forms of monogenic diabetes, where gene mutations affect cell endoplasmic reticulum stress, mitochondrial function and tRNA biology. These patients with monogenic diabetes can be considered as human knockouts and can provide us with insight into key biological pathways important for cell development, function and survival. To gain insight into the pathways of cell failure in these monogenic forms of diabetes and to test therapies, her team is differentiating patient-derived induced pluripotent stem cells into cells. This represents a highly relevant disease-in-a-dish model, opening a range of new research avenues. She has published 90 papers that have been cited over 9000 times, with an H-index of 41. Her work has been funded by the European Foundation for the Study of Diabetes, the European Union Framework Programmes 6 and 7, the Innovative Medicines Initiative and Horizon 2020, the National Ataxia Foundation USA, the Friedreich Ataxia Research Alliance USA, and the Belgian Fund for Medical Scientific Research. The European Association for the Study of Diabetes awarded her work with a Rising Star Award in 2005 and the Oskar Minkowski Award in 2013. Carolin Daniel a Ph.D. in Immune pharmacology from the European Graduate School of the German Research Foundation in Frankfurt (Germany) and the Karolinska Institute in Stockholm (Sweden) in 2008. With a Fellowship from the Leopoldina/National Academy of Sciences Germany she did a PostDoc in Immunology at the Dana Farber Cancer Institute in the laboratory of Harald von Boehmer and a joint appointment with Harvard Medical School, Boston (MA/USA). From March 2012 – 2016 she was heading a Young Investigator Group at German Research Center for Environmental Health, Institute of Diabetes Research in Munich (Germany). Since 2017 she is a Research Group Leader (Group Immune Tolerance in Diabetes) at the Helmholtz Diabetes Center at Helmholtz Zentrum München. Her research interests focus on mechanisms of immune activation vs. tolerance in target tissues of diabetes with the goal to identify signaling intermediates that can interfere with efficient T cell tolerance induction during ongoing immune activation. To this end, her lab studies the induction and function of regulatory T cells in murine and humanized models. Sarah is a Wellcome Trust/Royal Society-funded Sir Henry Dale Fellow at the University of Exeter Medical School. She completed her PhD in 2007 under the supervision of Professor Andrew Hattersley and Professor Sian Ellard which investigated genotype/phenotype relationships in neonatal diabetes and congenital hyperinsulinism. Sarah leads the congenital hyperinsulinism research group in Exeter and together with the monogenic diabetes team has provided genetic testing for over 4000 patients from over 100 countries around the world. Since arriving in Exeter Sarah has been involved in the discovery of 13 novel genes for monogenic disorders of insulin secretion and has led studies investigating genotype/phenotype relationships. This work has resulted in her publishing over 180 peer reviewed papers. In 2014 Sarah led the discovery of activating germline mutations in the STAT3 gene in individuals with syndromic early-onset autoimmune diabetes. This work was published in Nature Genetics and the finding sparked her interest in monogenic autoimmunity. Sarah's current work focusses on the utility of clinical features and genetic risk scores to help differentiate rare monogenic autoimmune disease from more common polygenic 'clustering'. Her team are currently undertaking gene discovery studies, immuno-phenotyping and are focussed on improving and developing new variant calling bioinformatics pipelines to allow for in-depth interrogation of next-generation sequencing data. In 2015 Sarah received the EASD-study group for the genetic of diabetes Rising Star Award and in 2018 was selected as a recipient of the G.B. Morgagni Silver Medal Young Investigator Award which recognises exceptional research in the field of metabolic disease. Senta Georgia is an Assistant Professor in the Departments of Pediatrics and Stem Cells and Regenerative Medicine at the Keck School of Medicine at USC. She is a member of the Center for Endocrinology, Diabetes, and Metabolism at CHLA and the Developmental Biology and Regenerative Medicine Program at the Saban Research Institute. She attended Stanford University, earning her BS in Biological Sciences, a minor in Philosophy, and dual departmental honors in Biological Sciences and Ethics in Society. She earned her Ph.D. at UCLA in Molecular Biology. Her dissertation focused on the role of cell cycle molecules in the establishment, expansion, and maintenance of insulin cells. She was a postdoctoral fellow and Assistant Adjunct Professor at the Hillblom Islet Research Center at UCLA, where her research focused on how DNA methylation restricts progenitor cell differentiation during pancreatic organogenesis and how DNA methylation maintains insulin cell identity in adulthood. Her lab at CHLA focuses on three approaches to insulin-cell regeneration: (1) by inducing replication of existing insulin cells; (2) using epigenetic manipulation to induce cellular reprogramming into an insulin cell fate; and (3) understanding mechanisms that govern human insulin cell differentiation to make new insulin cells for patients that have diabetes. She is a wife and a mom of 4 happy kids. She enjoys being a purveyor of fine spirits, an enthusiast of thriller/horror films, and a casual gastronomist. David is Professor of Cellular Metabolism, Professorial Research Fellow and an early career researcher based at the Institute of Metabolism of Systems Research, University of Birmingham. Previously, he was a Diabetes UK RD Lawrence Fellow and Non-Clinical Lecturer at Imperial College London. David has particular interest in developing novel tools to understand beta and other cell function both in vitro and in vivo. Current research, using mouse genetics in combination with next generation optogenetics, focuses on understanding how immature beta cell subpopulations may exert disproportionate control over insulin release. Alongside this, we continue to contribute to the field of photopharmacology, which describes the precise spatiotemporal control of receptor, enzyme and ion channel function using exogenously-applied light-activated drugs. Recent targets include KATP channels, glucagon-like peptide-1 receptors, fatty acid receptors and L-type Ca2+ channels, all with relevance for the mechanisms underlying glucose homeostasis. Finally, we are harnessing the power of enzyme self-labelling technology to target drugs to G protein-coupled receptors in body compartments and specific cell populations through reversible covalent linkage. This concept, termed 'tethered pharmacology', may contribute to our understanding of GPCR signaling in health and disease by combining the speed of pharmacology with the precision of genetics. The overarching aim of our research is to use interdisciplinary approaches to open up new avenues of exploration in metabolism research. Lessons from the StemBANCC consortium – Developing disease models of diabetes using induced pluripotent stem cell. Christian Honoré was born in a suburban part of Copenhagen during the late seventies and spent most of his childhood dreaming of making it to the American basketball league NBA. Despite some early success in Danish basketball which he will be very happy to talk about, he was - for reasons still unclear to him - never drafted by an NBA team and instead turned his focus to his studies in biological sciences. He obtained his master degree in biochemistry from the University of Copenhagen and went on to study the complement system during his PhD at the University Hospital of Copenhagen. He then moved to Boston for a post doc in Professor Doug Melton's laboratory at the Harvard Stem Cell Institute. Here he was introduced to the fascinating world of pluripotent stem cells and how to differentiate these towards the pancreatic lineage. After two years in Boston he returned to Denmark for a post doc position at Novo Nordisk A/S as part of the innovative medicine initiative academia-industry partnership StemBANCC. The main objective of StemBANCC was to establish a well-characterized bank of iPSC lines derived from patients with disorders ranging from Parkinson's, Alzheimer and various forms of diabetes. Within StemBANCC, Christian worked closely together with academic and industry partners to characterize the differentiation of iPSC towards the pancreatic lineage and to establish disease models of various forms of diabetes using patient specific iPSC lines. After the end of StemBANCC, Christian joined Novo Nordisk A/S as a scientist and now dedicates his time to translating the potential of stem cells from the culture dish to the clinic. Outside the lab, Christian spends most of his time with his family but also with friends, either on a basketball court or at a bar table. Nicole Krentz is a postdoctoral research fellow at the Wellcome Centre for Human Genetics at the University of Oxford and the Robert Turner Research Associate at Green Templeton College. In 2018, Nicole completed her PhD at the University of British Columbia under the supervision of Francis Lynn. Her PhD research focused on pancreas development and endocrine cell genesis using mouse embryos and human embryonic stem cell differentiation as models. In collaboration with Michael German's lab at the UCSF, Nicole discovered that the cell cycle regulates endocrine cell development by phosphorylating the transcription factor Neurog3. In 2018 Nicole moved to Oxford and joined Anna Gloyn's group where she is know investigating the role of diabetes associated genes in pancreas development using genome-editing inhuman induced pluripotent stem cell models. Patrick completed his PhD at the University of Toronto in 2003, followed by postdoctoral research at Lund University and the University of Oxford. In 2006 Patrick established an independent research group in the Alberta Diabetes Institute (ADI) at the University of Alberta, where he is currently Professor of Pharmacology. Work from the group has focused mainly on understanding downstream mechanisms of excitability an exocytosis controlling insulin and glucagon secretion, and in particular the control of these processes by metabolic and receptor-mediated signalling. Current interests include understanding mechanisms of beta-cell functional adaptation, the control of spatial heterogeneity in granule fusion events across the cell surface, and signalling by neurotransmitters within the islet. The group also established a research-specific human islet isolation and distribution program, the ADI IsletCore, to process donor pancreas that is not used for clinical whole organ or islet transplant. This has improved access to human research islets, including from donors with diabetes, and now supports >80 groups in North America and Europe. The group is privileged to contribute to many collaborative efforts with investigators across the world, including efforts to link islet genomics and function; efforts to map islet cell heterogeneity in situ; and efforts to understand altered islet cell function in both type 1 and type 2 diabetes. Patrick has been fortunate to receive numerous awards for his work, most recently this year's Diabetes Canada/CIHR-INMD Young Scientist Award. Chantal Mathieu is Professor of Medicine at the Katholieke Universiteit Leuven, Belgium. She is Chair of Endocrinology at the University Hospital Gasthuisberg Leuven. Prof. Mathieu received her medical degree and PhD at the University of Leuven, where she subsequently completed training in internal medicine and endocrinology. 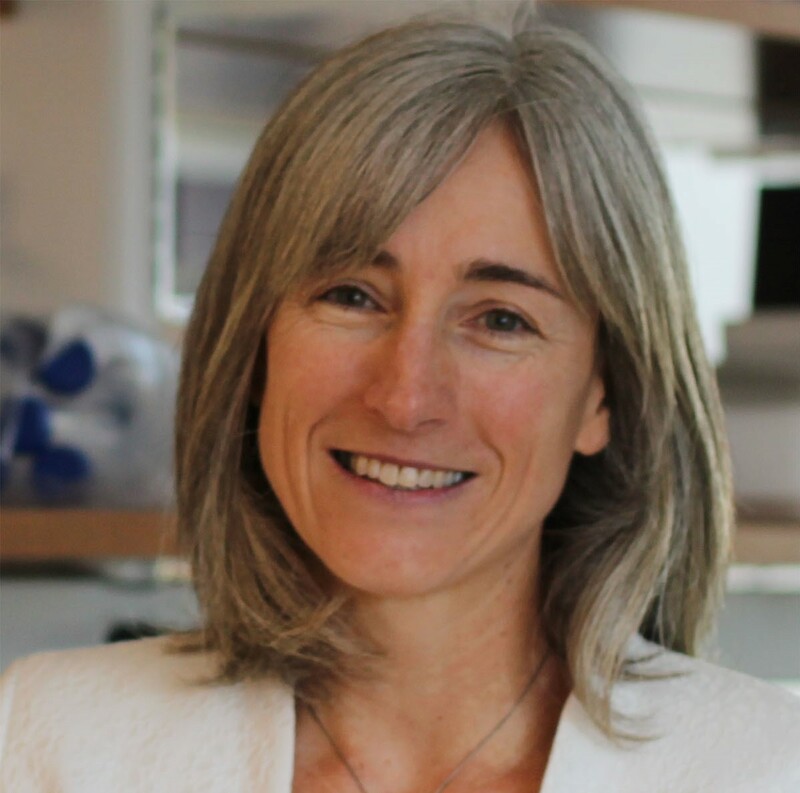 Prof. Mathieu's clinical areas of interest include the organization of diabetes care, and she is involved in several clinical trials in type 1 and type 2 diabetes. Her basic research is focused on the prevention of type 1 diabetes, effects of vitamin D on the immune system and diabetes, and functioning of the insulin-producing beta cell. Prof. Mathieu has authored or co-authored more than 350 peer-reviewed publications in international journals. In 2013, Prof. Mathieu received the prestigious InBev-Baillet Latour Prize for Clinical Research for her pioneering research on the pathogenesis of type 1 diabetes. She presently coordinates the INNODIA project on prevention and intervention in type 1 diabetes in Europe and is vice-president of EASD and Chair of Postgraduate Education at EASD. Dualities of interest: Chantal Mathieu has served on advisory panels, has been a speaker or received research support from Adocia, AstraZeneca, Boehringer Ingelheim, Bristol-Myers Squibb, Dianax, Eli Lilly, GSK, Intrexon, Janssen Pharmaceuticals, Hanmi Pharmaceuticals, Merck Sharp & Dohme, Novartis, Novo Nordisk, Pfizer, Roche Diagnostics and Sanofi. Irene is a Post-Doctoral researcher specialized in Molecular Genetics with expertise in the enhancer biology and non-coding variation leading to disease. Irene completed her MRes of Reproductive Biology in Barcelona (Spain), where she studied the impact of in vitro culture on the DNA methylation patterns of preimplantation mouse embryos. Then, she moved to the UK, where she obtained a PhD in Molecular Genetics from the University of Birmingham. Her PhD work focused on transcriptional regulation, in particular, on the validation of human enhancers predicted by histone modification marks and bidirectional transcription in zebrafish embryos. During her PhD she also helped to develop a site-directed transgenesis system in zebrafish that reduces variability effects for functional testing of regulatory elements. Irene moved to Barcelona as a PostDoctoral researcher in Jorge Ferrer's lab, where she has worked since 2014 between IDIBAPS (Spain) and Imperial College London (UK). She leads a project that assesses how the integrative analysis of 3D chromatin architecture in human islets and highly-refined epigenome maps can aid the interpretation of type 2 diabetes signals. Her long-term interest in the role of enhancers in human disease also prompted her to start modeling regulatory mutations leading to pancreas agenesis, shedding interesting insights into pancreas development. In 2015 she was awarded with Marie Curie PostDoctoral Fellowship, funded by the European Commission to carry out her postdoctoral work. She has collaborated with international experts in the field of bioinformatics, gene regulation and genetics and was trained as a young scientist by the multidisciplinary EU-Funded Initial Training Network BOLD. Nikolay Ninov is a group leader at the Center for Regenerative Therapies Dresden at TU-Dresden and the Paul Langerhans Institute Dresden. He completed his PhD at the University of Barcelona, during which he developed methods for high-resolution live-cell cell imaging of the remodeling of the Drosophila epidermis during metamorphosis. As a postdoctoral fellow, Nikolay joined the group of Didier Stainier at the University of California at San Francisco where he studied pancreas development and regeneration in zebrafish. He applied single-cell genetic manipulations and developed new transgenic lines to visualize non-invasively the proliferation and differentiation of beta-cells, which enabled to perform the first in vivo chemical screen for inducers of beta-cell proliferation. Currently, the Ninov's group focuses on understanding beta-cell heterogeneity during development and regeneration. This research combines single-cell behavior studies and gene expression analysis to define novel factors that confer different characteristics to beta-cells. Of particular importance is the ability to monitor with a very high spatio-temporal resolution the calcium dynamics of beta-cells in their native environment in the zebrafish pancreas, as well as to follow the development of individual cells marked in different colors using the Brainbow technology. Maria Cristina Nostro is a Scientist at the Toronto General Hospital Research Institute and an Assistant Professor at the University of Toronto. She holds the Harry Rosen Chair in Diabetes and Regenerative Medicine Research. Dr. Nostro completed her undergraduate degree at the University of Florence in 2000 and received a Ph.D. from The University of Manchester in 2004. The same year, she joined Dr. Gordon Keller's laboratory at Mount Sinai School of Medicine in NY, where she used embryonic stem cells to investigate the molecular mechanisms regulating mesoderm and endoderm lineage commitment. In 2012, she started her independent career at the TGHRI. Her research is focused on identifying the molecular determinants that control endoderm specification and pancreatic lineage commitment, with the ultimate goal of generating functional β cells from human embryonic and induced pluripotent stem cells. Her long-term goal is to translate the results of these studies to the clinic and to establish in vitro culture systems for disease modeling, drug toxicity and discovery assays, through the use of patient-specific induced Pluripotent Stem Cells. Her group has defined critical pathways leading to the efficient generation of hPSC-derived pancreatic progenitors in vitro (Nostro et al., Stem cell Reports 2015) and recently, through the use of a proteomics approach, identified a specific marker that allows the purification of these β cell progenitors (Cogger et al., Nat. Communications 2017). Since 2015, Dr. Nostro has been leading a multi-investigator team aimed at developing novel transplantation approaches for Type 1 Diabetes therapy. Timo Otonkoski, MD, PhD, is currently Professor of Medical Stem Cell Research and director of the Biomedicum Stem Cell Center at the University of Helsinki. He has a specialist degree in Pediatric Endocrinology and has a clinical position at the Children's Hospital of the Helsinki University Central Hospital. His main clinical specialities are childhood diabetes and hypoglycemia. His research has focused on the growth and development of the pancreatic islets. He has also made important contributions in the field of congenital hyperinsulinism and other forms of genetic insulin secretory dysfunction. Lately, he has shifted his main area of interest into the use of human pluripotent stem cells and genome editing to study beta-cell pathophysiology. His group has made fundamental discoveries of the pluripotent reprogramming of human cells, developed novel approaches for controlling their differentiation, and used this approach successfully to elucidate several monogenic mechanisms of beta-cell dysfunction. Dr. J. Andrew Pospisilik is a leading expert in the study of how the epigenome regulates complex trait variation as well as disease susceptibility and heterogeneity. He earned his B.Sc. with honors and his Ph.D. in Physiology from University of British Columbia, where his work focused on type 1 and 2 diabetes. Later, as a postdoctoral fellow in the lab of Dr. Josef M. Penninger at IMBA Institute of Molecular Biotechnology, Dr. Pospisilik performed the first genome-wide RNAi-screen for obesity in Drosophila, identifying some of the first specific developmental regulators of brown adipose tissue formation, and overturned dogma showing that compromised mitochondrial function actually buffers against diabetes. In 2010, he established his laboratory at Max Planck Institute of Immunobiology and Epigenetics in Freiburg, Germany, where his team made groundbreaking advances, including development of novel sensitized models for understanding epigenetic stability and variation in metabolic disease; the first formal proof for the existence of polyphenism in mammals (including suggestions in humans) and the first mapping of a genetic architecture for mammalian phenotypic buffering. In 2018, Dr. Pospisilik joined Van Andel Research Institute as a professor and a founding member of its Metabolic and Nutritional Programming group. He is the recipient of numerous awards and accolades, including the 2016 Novo Nordisk Helmholtz Young Investigator Award, the 2015 GSK Award for Basic Medical Research, the 2013 EASD Rising Star Award and the 2011 RISE1 Award from the Epigenesys Network of Excellence. He also is a member of the World Economic Forum faculty. My background includes a Master in Medical Science (major: Biomedicine), and a PhD in Biomedicine / Diabetes & Endocrinology, defended at the Medical Faculty at Lund University in 2010 (The role of genetic variation and DNA methylation in human glucose metabolism and type 2 diabetes). The following Post Doc position was mainly focused on the interplay between exercise and epigenetic changes in human tissues. Continuing after two rounds of maternity leave, I am currently working as an Associate Researcher at the Lund University Diabetes Centre (LUDC), Sweden, in the Epigenetics and Diabetes unit. My research focus on epigenetic alterations in human tissues important in the pathogenesis of type 2 diabetes, mainly pancreatic islets, adipose tissue and muscle. Here we investigate the epigenetic signatures in tissues from healthy vs diseased individuals and investigate the interplay with genetic as well as environmental factors. We also explore altered DNA methylation in response to different external stimuli and the effect on different metabolic traits. The last years we have also succeeded with whole genome bisulfite sequencing of human pancreatic islets in a case-control cohort, which can be used as a map of the human islet methylome, but also to understand gene regulation as well as a platform for exploring differences between health and disease. Our findings propose a model where environmental factors act through epigenetic modifications, under the influence of genetic variation, on tissue specific gene transcription and consequently on metabolic phenotypes and risk of developing type 2 diabetes. Dr. Holger A. Russ is an Assistant Professor at the Barbara Davis Center for Diabetes at the University of Colorado- Anschutz Medical Campus. Dr. Russ has been successfully working on different aspects of human beta cell biology, which has led to several original and important contributions to the fields of beta-, thymus- and stem cell- biology. He obtained his Ph.D. from Tel Aviv University in 2011 working in Prof. Shimon Efrat's laboratory on expansion of cadaveric human beta cells. He was the first to employ the Cre/lox system, commonly only used in transgenic animals, for lineage tracing of primary human cells in culture. With this novel approach, he could demonstrate that human cadaveric beta cells dedifferentiate into a proliferative state while maintaining a cell specific epigenetic memory that could be exploited to re-differentiate expanded beta cells. In addition, he collaborated with Drs. Bar-Nur and Benvenisty, to show the maintenance of a beta cell specific epigenetic memory after reprogramming beta cells into induced pluripotent stem cells. After completing his Ph.D. studies, Dr. Russ joined the laboratory of Prof. Matthias Hebrok, Director of the Diabetes Center at UCSF, where he established a rapid, large-scale, suspension culture system for the directed differentiation of pluripotent stem cells into functional beta cells in vitro. In parallel, he was part of the research team that demonstrate for the first time the generation of functional human thymic epithelial cells with the ability to support T-cell development from pluripotent stem cells. In fall 2016, Dr. Russ moved to Denver to establish his independent research program, focused on elucidating the underlying molecular and cellular events that result in the development of type 1 diabetes in patients, at the Barbara Davis Center for Diabetes. Maike Sander is the Director of the Pediatric Diabetes Research Center and Co-Director of the Center on Diabetes in the Institute of Engineering in Medicine at UC San Diego. Her laboratory has uncovered fundamental mechanisms that underlie the formation and function of insulin-producing pancreatic beta cells, which are affected in diabetes. By defining the impact of environmental cues on cell fate determination and cell plasticity, her laboratory aims to identify strategies for beta cell regeneration and replacement in order to develop novel treatments for diabetes. Dr. Sander obtained a medical degree from the University of Heidelberg in Germany and held faculty positions at the University of Hamburg, Germany and the University of California, Irvine before moving to the University of California, San Diego in 2008. Dr. Sander is an elected member of the American Society of Clinical Investigation and the German Academy of Sciences (Leopoldina), and a member of the NIH-Human Islet Research Network. She is the recipient of the Grodsky Award from the Juvenile Diabetes Research Foundation and the 2017 Humboldt Research Award. Raphael Scharfmann obtained his PhD in 1989 at University Paris VII, France. He next did a post doc at the Salk institute, La Jolla, CA (1989-1991) and obtained a permanent position at INSERM at the end of 1991. In 1999, he obtained the prestigious Minkowski Award (for distinguished research in the field of Diabetes in Europe). He is now Research Director at INSERM within the Cochin Institute, University Paris Descartes, Paris France. 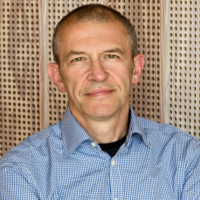 He is also cofounder of EndoCells/UniverCell Biosolutions, a French biotech company. The major objective of his group is to define intercellular signals regulating functional beta cell mass in rodent and human. 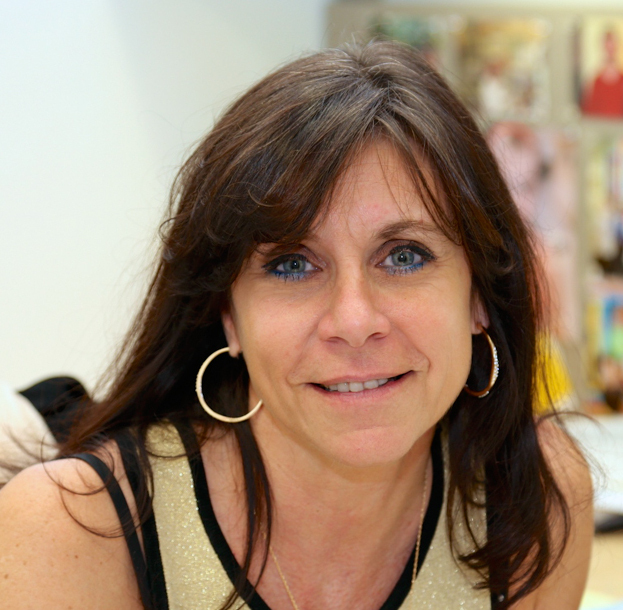 Dr. Michele Solimena attended the School of Medicine at Univ. of Milano, Italy where he obtained his medical degree in 1986 and his PhD in Pharmacology and Toxicology in 1993. In 1988 he joined the laboratory of Prof. De Camilli in the Department of Cell Biology in the School of Medicine at Yale University working on the cell biology of glutamic acid decarboxylase and its role as autoantigen in stiff-man syndrome and type 1 diabetes. In 1994 he was appointed Assistant Professor in the Section of Endocrinology in the Department of Internal Medicine at Yale University and in 2000 he became Associate Professor in Internal Medicine and Cell Biology. In 2001 he moved as Group Leader to the Max Planck for Molecular Cell Biology and Genetics in Dresden, German. Since 2003 he is Professor of Molecular Diabetology at the Faculty of Medicine of the Technische Universität Dresden (TUD), Germany. He also directs the Paul Langerhans Institute Dresden, which he founded in 2010 and which became a satellite institute of the Helmholtz Center Munich at TUD in 2015. Dr. Solimena's laboratory applies molecular, biochemical and imaging approaches in vitro and in vivo in order to elucidate the principles that govern the biogenesis, exocytosis and turnover of insulin secretory granules and why their cargoes are preferential autoantigens in autoimmune diabetes. He is also interested in understanding the molecular mechanisms driving beta cell failure during the progression from normoglycemia to diabetes through the study of pancreatic islets from metabolically phenotyped pancreatectomized subjects. Maria S. Remedi was born and raised in Argentina. She obtained a Clinical Biochemistry degree and a Pharmacist degree from the University of Cordoba in Argentina, and a Ph.D in Chemical Sciences degree from the same University. Maria initially joined the Cell Biology and Physiology Department at Washington University in St Louis (USA) as a post-doc, and move up through the ranks to Instructor and Assistant Professor. In 2015 she joined the Department of Medicine at Washington University, and in 2017 she became the Associate Director of the Metabolic Tissue Function Core of the Diabetes Research Center. Maria’s research focuses on how changes in blood glucose levels regulate insulin secretion from the pancreatic beta-cell, and how this process is impaired in diabetes. The ATP-sensitive potassium (KATP) channel is a critical link between glucose metabolism and insulin secretion. Gain-of-function and loss-of-function mutations in KATPchannel genes cause two opposite diseases: neonatal diabetes and congenital hyperinsulinism. Maria research has defined critical pathways leading to changes in pancreatic islet-identity in neonatal diabetes, and demonstrated for the first time that this process is reversible. These results challenged the current paradigm of permanent beta-cell damage in long-standing diabetes, with significant implications for therapeutic options. Her current research focus on depicting the underlying mechanisms, and temporal progression, of glucotoxicity and beta-cell failure in various forms of diabetes and devise appropriate therapies. John Todd FRS, FMedSci, FRCP Hons, PhD is Professor of Precision Medicine at the University of Oxford (until recently Professor of Medical Genetics at the University of Cambridge), Director of the JDRF/Wellcome Trust Diabetes and Inflammation Laboratory (DIL) in the University's Wellcome Centre for Human Genetics, and a Senior Investigator of the National Institute for Health Research. His PhD was in Biochemistry at the University of Cambridge. Todd researches type 1 diabetes (T1D) genetics and disease mechanisms with an aim of clinical intervention. Previously, Todd was Professor of Human Genetics and a Wellcome Trust Principal Research Fellow at the University of Oxford. Todd helped pioneer genome-wide genetic studies, first in mice and then in humans. He then went on to study the associations between mapped genomic disease-associated regions and phenotypes by founding and deploying the Cambridge BioResource. His research in genetics and diabetes has received several awards and prizes. In the latest phase of his research, to translate basic genetic and immunological knowledge to treatment and prevention, the DIL has now completed its first two mechanistic, statistically adaptive, drug dose-finding studies in T1D patients. This design and analyses have revealed several previously unknown effects of interleukin-2 (IL-2) on the human immune system, providing key information on the future possibility of using subcutaneous administration of ultra-low doses of IL-2 to preserve pancreatic islet beta-cell function to treat and prevent T1D. In Oxford the DIL is launching a programme to investigate which T1D risk regions affect beta-cell function and fragility. We are applying the latest single-cell, mass spectrometry methods, bioinformatics and statistical methods. Todd has supervised 31 PhD students with three in progress. h-index 94, total citations over 38,000. Dr. Elisa De Franco is a molecular geneticist working as part of the diabetes team at the University of Exeter, UK. She got a Bachelor and Master degree (with honours) in Medical Biotechnology at the University of Turin, Italy. She then went on to complete a European funded PhD on the transcriptions factors regulating human pancreatic development at the University of Exeter in 2014. She has also been a Naomi Berrie Fellow in Diabetes research (years 2015-2016) and is currently working as Postdoctoral Research Fellow at the University of Exeter, UK. To date, Dr De Franco has published 35 papers in international, peer-reviewed journals (12 of which as first or last author) including The Lancet, Nature Genetics, Cell Metabolism and Diabetes. Her research focusses on using whole genome sequencing and other next generation genetic techniques to identify novel causes of diabetes in patients diagnosed with the disease before the age of 12 months. Tiinamaija Tuomi, MD, PhD, is Chief Departmental Doctor at the Department of Endocrinology, Helsinki University Central Hospital and research director at Folkhalsan Research Centre and Insititute for Molecular Medicine FIMM, University of Helsinki. She is also vice-director of the “Centre of Excellence of Complex Disease Genetics – from discovery to translation” (FIMM 2018-2025). She received her PhD in 1990 on immunology of rheumatoid arthritis at the University of Helsinki. During her post-doctoral period at Monash University in Melbourne, Australia, she switched research focus to autoimmune forms of diabetes and renamed a hybrid form of type 1 and type 2 diabetes Latent Autoimmune Diabetes in Adults (LADA). She worked with the Botnia Study at Lund university during 1994-1999 as a vice-chief of the Diabetes Research Laboratory (predecessor of the Lund University Diabetes Centre), which widened the scope of her research activity to genetics, causes and clinical heterogeneity of type 2 diabetes and monogenic forms of diabetes. She is the co-PI of the Botnia Study since 1999. Her research group in Helsinki as well as Närpes, Jakobstad and Vasa in Western Finland is associated with the Folkhalsan Reserch Center, the Research Program of Clinical and Metabolic Medicine and FIMM at the University of Helsinki and the Helsinki University Central Hospital. The group works in close collaboration with the Lund University Diabetes Centre. The work of her group focuses on phenotypic and genetic characterisation of subtypes of diabetes or individuals with rare or common variants associated with diabetes. Christopher Wright, D. Phil., is the Director of the Vanderbilt University Program in Developmental Biology, Associate Director of the Vanderbilt Center for Stem Cell Biology, Louise B. McGavock Chair and is Professor and Vice-Chair for Faculty Affairs of the Dept. Cell & Developmental Biology at Vanderbilt University, where he began his independent research program in 1990. In 2012, he became an elected member of the American Assoc. for Advancement of Science. Wright’s B.Sc. was from the University of Warwick, U.K., during which he received training with Drs. Alan Colman, Hugh Woodland, Liz Jones, Bob Old, and others. He gained his D. Phil. in 1984 in the lab of Dr. John Knowland at the University of Oxford (Linacre College) studying the biochemistry of steroid receptor control of gene expression. From 1985-1989 he carried out postdoctoral research first in Basel, Switzerland and then at UCLA, USA, under Dr. Eddy De Robertis, discovering some of the first mammalian homeobox genes, among them Pdx1 (known first as XlHbox1). Wright’s lab has studied intercellular signaling, transcriptional control of cell specification and differentiation, embryonic patterning and pancreas organogenesis. It was the first to apply lineage tracing and gene inactivation to show reallocation of stem cell properties from pancreas to duodenum (Nat. Gen. 2002). His lab has created and distributed many tools and reagents for studying pancreas development, islet cell differentiation and plasticity, pancreatic cancer, and has collaborated with many of the leading laboratories and colleagues in these fields. Under an inflammatory-signaling context of acinar injury caused by duct ligation, we showed that acini could transform into duct then endocrine cells [Pan et al., Development]. Wright was co- or lead organizer for two Keystone Diabetes meetings, and other leading developmental biology meetings. He has received research and training awards at Vanderbilt University, and is principal investigator of a 25-year duration institutional T32 award from the National Institutes of Health. He has chaired the DEV-1 Study Section for the NIH, and been standing or ad hoc member of several study sections over the last two decades. He has currently approx. 185 publications, viewable at http://www.ncbi.nlm.nih.gov/myncbi/browse/collection/40744028/ He has trained fourteen graduate students and 12 postdoctoral fellows, many of whom have premier positions at leading globally renowned institutions.